They're from DragonBerry and I think they're fab! They're fully lined, highwaisted and zip up at the side making them very comfy to wear. They also have belt hooks but you can't really see them in the pictures. The crop top in wearing is also from DragonBerry and I love all the straps on it. 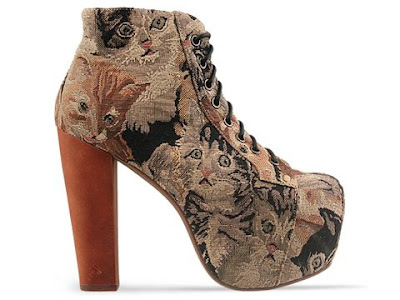 I would love to have worn some cat tapestry Jeffrey Campbell Lita's with this outfit but I don't have any unfortunatly!